GAZEBO is a fantastic product for GARDEN, it gives an awesome look to your GARDEN. MANUFACTURED in CHANDIGARH mostly looking to the interests of people for their Garden. 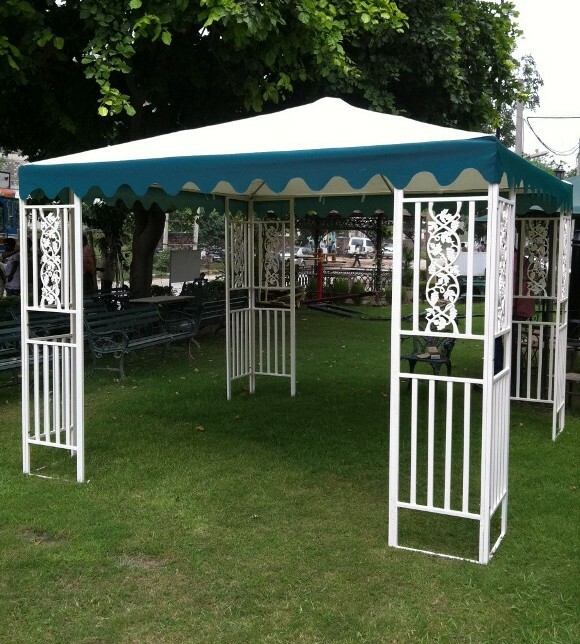 GAZEBO can also be used for parties, for shelter . It occupies about one room accomodation in which many persons can get adjusted and enjoy the GAZEBO. It is made in CHANDIGARH and the material used is of good quality and which makes it a life long product.The fabric used in GAZEBO can be Washed if dirty , and the colour does not get fade and the parts of GAZEBO also can be dismantled easily .Isn"t it good to know that The GAZEBO can be placed on your terrace , in your garden ,etc..